NAVLY is now being tested in Lyon, France where Keolis operates the bus, tram and subway systems, marking the first time ever that an autonomous vehicle has been used as part of a public transportation network. 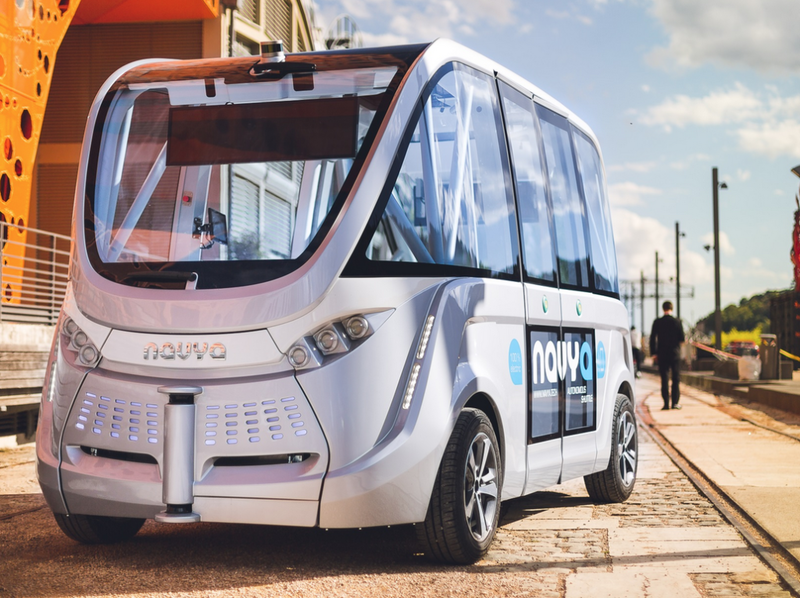 NAVYA’s ARMA vehicle is an intelligent driverless shuttle that can safely transport 15 passengers at speeds of up to 28 mph. The ARMA shuttles have no steering wheel or pedals, run on a battery, are 100% electric and boast a technologically advanced navigation and sensor system. The service in Lyon transports includes five stops and covers approximately one mile. The area traversed by the vehicle is free of traffic lights, crosswalks and intersections, and the journey takes about 13 minutes. An operator is on board at all times to ensure the safety of passengers and answer questions.